Home » Environment & Creation Care » Divest the Churches from Fossil Fuels in Jesus’ Name! Divest the Churches from Fossil Fuels in Jesus’ Name! The divestment campaign highlights a conflict that most politicians are reluctant to address. If the world is to avoid catastrophic global warming, most known fossil fuel resources need to stay in the ground. Yet fossil fuel companies not only plan to extract and sell their existing reserves but are exploring ever more sensitive territory to find new ones, thus ruining any chance of securing a safe planet. Christians and churches – it’s time to become fossil-free! Stop harming God’s creation and the environment for the poor, live simply and sustainably. Sell all what you have, give the money to the poor and whatever energy you use, whatever goods you consume, make sure that the dirty oil- and gas-industry doesn’t get a cent. The horrible effects of climate change may already be irreversable, we must do whatever we can to turn this ark around and steward God’s creation in a sustainable way. Click this link to join the campaign! 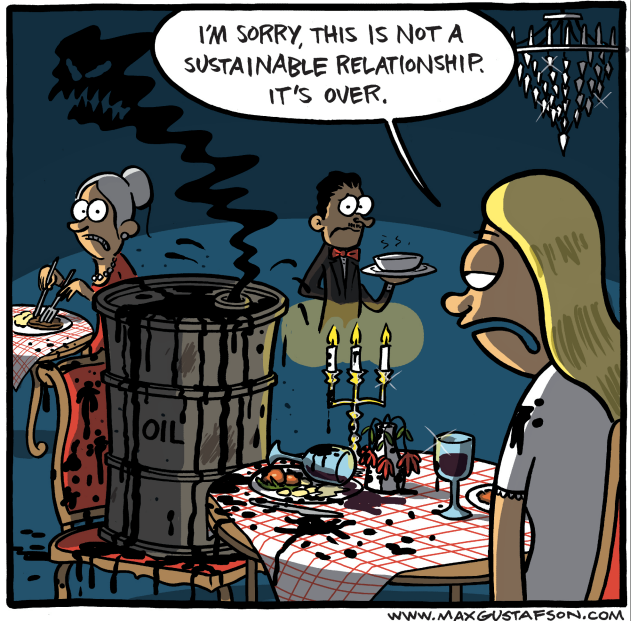 By Micael Grenholm in Environment & Creation Care, Justice & Economics on February 13, 2015 .